At High Function Fitness, nothing gives us more pride than celebrating the success of our members It’s the reason we do what we do every day! Recently many of our members have been taking their health and fitness to a whole new level! We have decided to dive a little deeper and shed some light on their success stories through a new blog series we call “What’s Your Secret? !” Over the next few months, we will be featuring some of our amazing member’s success – so get excited for more to come! Without further ado, allow us to introduce HFF member, Mike Litvack, the first to share his secrets to success. You may have seen Mike around the gym, crushing deadlifts with silent excitement or running around in class, drenched in sweat, telling everyone that his “fat is crying”. Since joining High Function Fitness 3 1/2 months ago, Mike has lost 35 pounds and increased his strength in max lifts by anywhere from 20 to 100lbs, joining the 300lb club on his deadlift!! 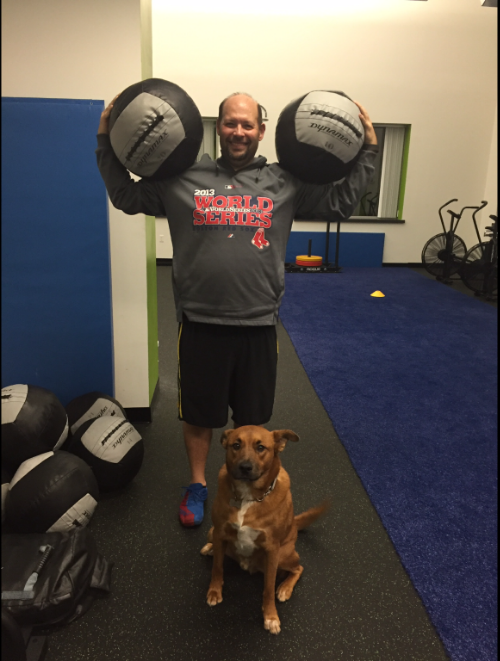 “I had tried many things such as BSC (Boston Sports Club), kickboxing, and CrossFit. None of them worked for me. I was tired of being out of shape and having no energy. Then HFF came into picture. I was able to go at my own pace. Years ago, when we initially met Mike, he was a bit apprehensive about the gym scene. For those of you that don’t know, Mike is deaf. Needless to say, the combination of being new to the gym environment and having the challenge of following along throughout a 10-12 person class was extremely intimidating. After a few semi-private sessions, we really saw the heart and desire Mike had. He always comes to sessions focused, ready to learn, and ready to better himself. He now has no problem and no fear following along in group classes! Mike’s most exciting accomplishment at High Function Fitness so far is joining the 300lb club on his deadlift. His previous max 12 weeks prior was 155lb! Nearly a 200% increase!! Next time you see Mike in the facility, make sure you say hi and congratulations – it goes a long way! And be on the look-out for our next member’s secrets to success!